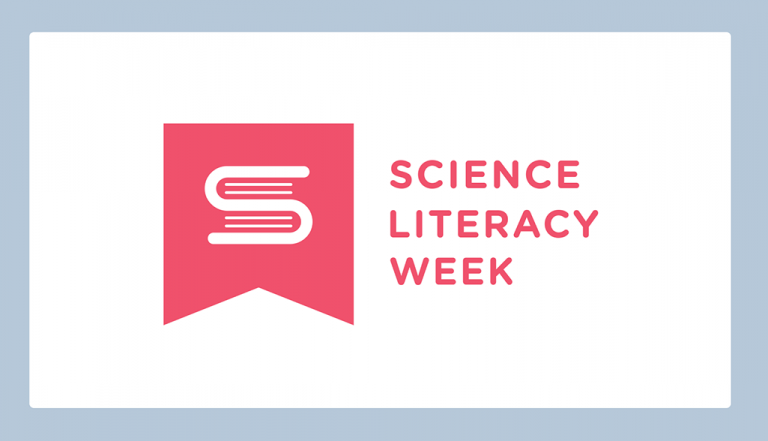 Canada celebrates Science Literacy Week from September 18-24, 2017. Join UBC Library, in partnership with SFU, BCIT, KPU, Douglas College and attend one of these free events. Detailed information is available on the Library Guide to Science Literacy Week. Discover books about Canadian science and scientists. Better yet, borrow one! Visit this fascinating exhibit about the sometimes gruesome beginnings of the field of anatomy. Located in the Memorial Room at Woodward Library. Tell us or show us what you love about science at the Scientifish, I Heart Science Felt Board or the Dress-as-a-Scientist photo booth. Maple Leaf in Space, Made in Canada and A Salmon’s Sky View. Check out the children’s science books at the Education Library. A series of podcasts featuring UBC Okanagan researchers critically discussing the implications of their research, how they communicate their ideas, and how we as a society respond. Come and learn about local science inquiry and initiatives in-person through interactive display tables. Come browse and borrow a mix of books that highlight local authors, indigenous knowledge, women in science, and the influence of science on art & poetry. Join the conversation! UBC Okanagan Library will be engaging thought provoking questions on a whiteboard to spark meaningful dialogue about science. Come and make your voice heard. Learn how to edit and create Wikipedia entries and contribute to what we know about Canadian science and scientists. No prior experience required! Learn how to publish with IEEE and the library services to support you in your writing. Experience the amazing science at UBC and in our community with robots, 3D printing, biological specimens, seed lending library, and much more! In the Living Library, people stand in for books. Borrow a living book and learn about each book’s inspiring research. Drop by to see a display of Canadian Science Books for Kids, Seed Lending Library, Sky Water Earth Learning Playlists, and Science & Math Videos For All. 10:15 am – 4:15 pm National Learn to Code Day, Irving K Barber Learning Centre, Lillooet Room. Join an introductory coding workshop and learn about Artificial Intelligence and Machine Learning. Registration required.